Now scientifically proven to reduce stress, alter the grey matter of your brain and help you look and feel younger in as little as 8 weeks, could meditation be the new happy drug? Meditation expert Sarah McLean’s groundbreaking new book Soul-Centered: Transform Your Life in 8 Weeks with Meditation (Hay House, May 2012) reveals that meditation very well could be the new happy drug. Author Sarah McLean shares contemporary, simple practices that she has used with thousands of clients across the country to help them reduce stress, find fulfillment, and achieve a sense of wellbeing and happiness. From healing chronic diseases to losing unwanted weight, many of Sarah’s clients reveal their personal journeys of transformation in the book. Each story of personal transformation points to a daily practice of meditation as the catalyst for change. New research at UCLA earlier this month found that when the caregivers in families of those dealing with dementia incorporate a daily practice of meditation, they show improved mental and cognitive functioning and lower levels of depressive symptoms. This is one of the latest findings in a recent wave of research that began late last year which revealed how meditation improves attention, reduces the experience of pain and the stress response, and increases the areas of the brain responsible for compassion and contentment. Currently, there are eight clinical trials underway (as monitored by the National Institutes of Health) regarding the impact of meditation on various chronic diseases that are often treated with pharmaceuticals. Sarah is a meditation expert who has worked with some of the most renowned mind-body experts of our time including Deepak Chopra, Debbie Ford, Byron Katie and Gary Zukav. She’s taught judges, physicians, celebrities, retirees, moms, and everyone in between, these proven practices that improve wellbeing and help people enjoy their life more in just 8 weeks. 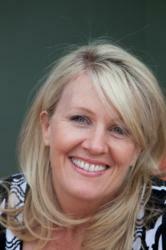 Featured in the New York Times, Sarah McLean is the founding director of the Sedona Meditation Training Company (http://www.SedonaMeditation.com) and The McLean Meditation Institute (http://www.McLeanMeditation.com), educational companies offering meditation training, self-discovery retreats, and teacher training certification programs that have transformed thousands of lives. 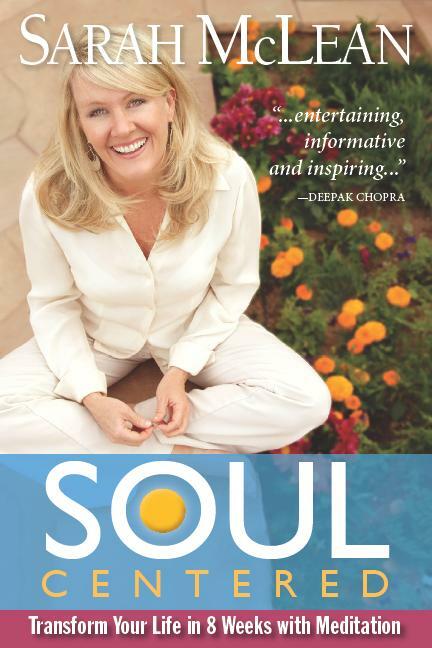 She is the author of Soul-Centered: Transform Your Life in 8 Weeks with Meditation (Hay House, 2012). Her clients include Proctor & Gamble, Perry Ellis International, Banner Health Care Hi-Health Vitamin Stores, Solis Women’s Health Care, The Young Presidents Organization, Miraval Resort, Red Mountain Spa, Arizona Society of Certified Public Accountants, and Thunderbird School of Global Management. For more information, visit http://www.mcleanmeditation.com. Hay House is an international leader in self-help and motivational publishing, featuring books, audios, and sidelines by more than 250 authors. New Beginnings Press, and SmileyBooks are imprints of Hay House, Inc. Please visit us as http://www.hayhouse.com.